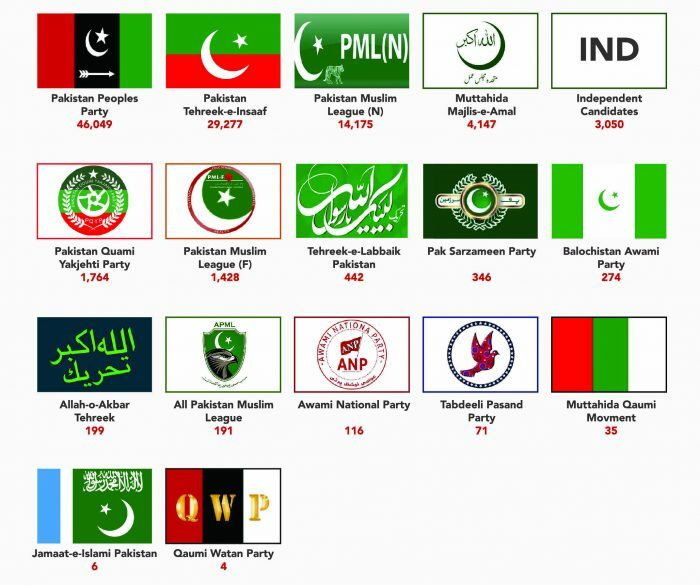 Political parties advertised in full force from July 5 to 23, 2018 over electronic media. The election was held on July 25, 2018. 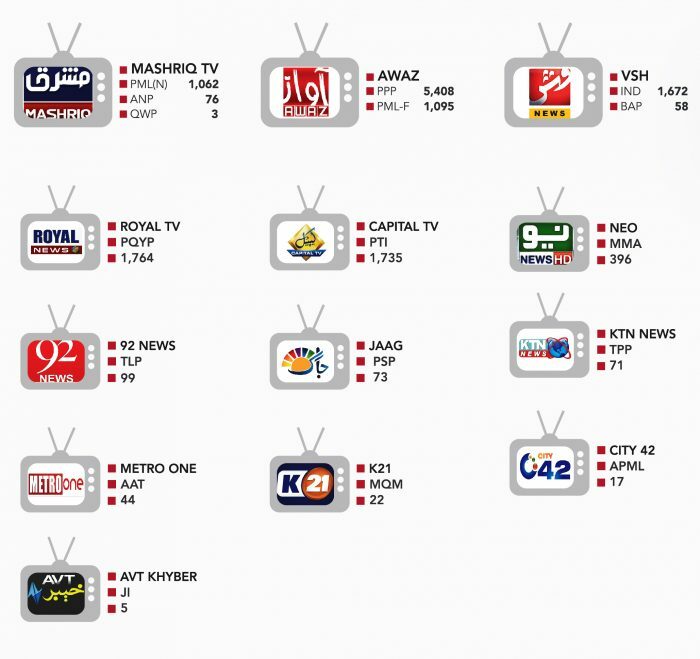 Political parties advertised the most on news channels. 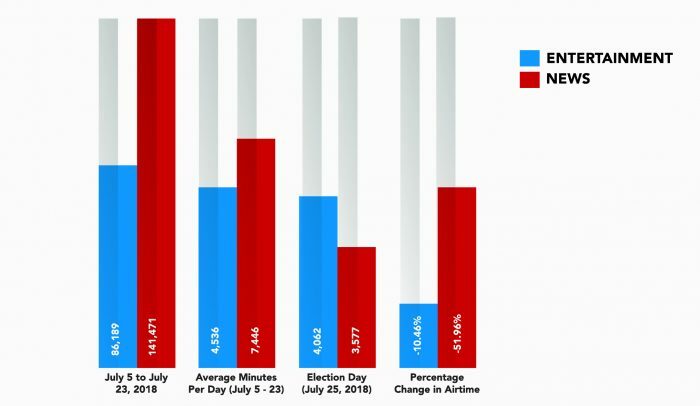 The following graph reflects the difference between advertising on Entertainment channels versus News channels, highlighted by the ‘Percentage change in Airtime’, which shows that advertising went down by almost 52% on news channels when the election campaign ended. Advertising by political parties peaked from July 18 till 23. The last day was the highest advertised on with 12,835 minutes. 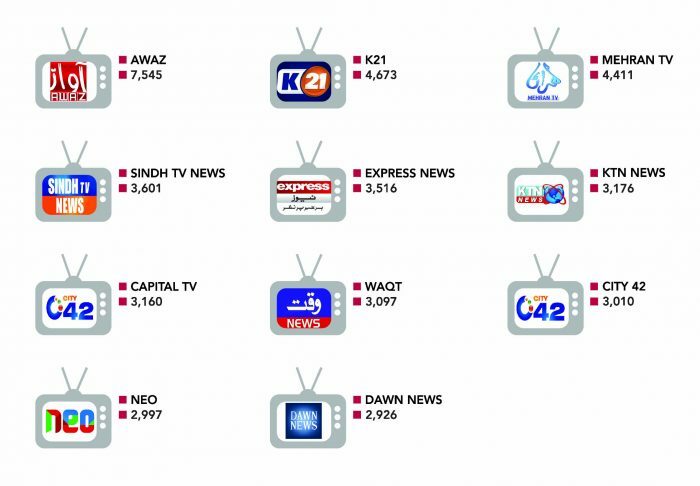 PPP was the highest advertiser with 46,049 minutes, followed by PTI with 29,277 minutes. Although both parties advertised for the length of the campaign, i.e. 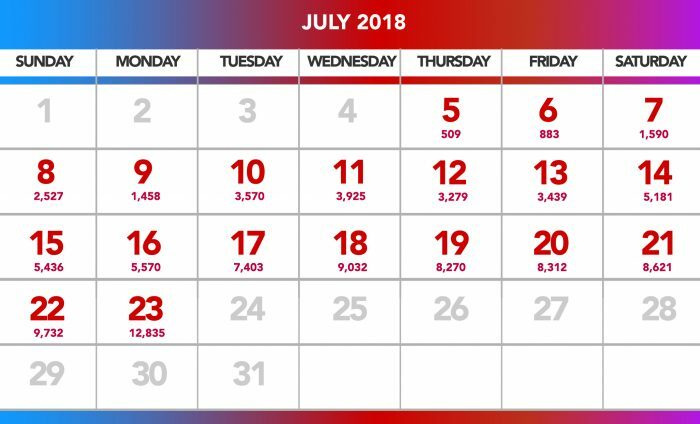 July 5 till 23; PPP’s advertising peaked for 15 days, i.e. from July 9 till July 23. On the other hand, PTI consumed the most airtime for 4 days, i.e. July 5 to 8. Regional channels received the highest advertising due to their perceived reach to the masses as well as selling low-cost CAT minutes to advertisers. Due to this, the highest advertising was done on Awaz for 7,545 minutes. The graph shows TV channels advertised on the most by each political party. Media monitors Pakistan is the sister concern of Medialogic Pakistan. Media Monitors is an advertisement tracking company which provides monitoring service for more than 80 TV channels being viewed in Pakistan.